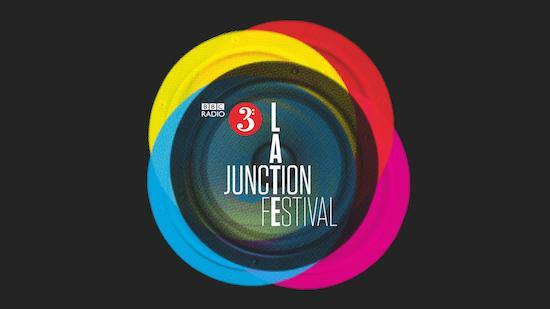 Verity Sharp and Nick Luscombe, presenters of BBC3’s flagship experimental show Late Junction, have shared a playlist of weird and wonderful sounds, ahead of the show’s inaugural music festival, which takes place at Hackney EartH tomorrow (February 28) and Friday. Featuring the likes of Gazelle Twin, This is Not This Heat and Hen Ogledd, the Late Junction Festival is set to bring some of the most strange and singular artists operating today to East London for two curated nights. In celebration of this, Sharp and Luscombe have curated a YouTube playlist for us, featuring everything from the very current freak-folk of Richard Dawson to the timeless Renaissance compositions of Josquin des Prez. Below, are a bit about Verity and Nick's choices, and a playlist featuring them all. "I've been playing video game theme tunes on Late Junction for ages. It began when I realised I'd probably heard the Mario Kart theme more than any other piece of music in my life. This is where it began for me..."
"I discovered this band in Japan and managed to see them live at a venue in Tokyo called Ochai Soup. On of the greatest shows of my life. Beyond heavy." "This was a track selected by actor Toby Jones [and] by the great John Lurie. Just so good to be reminded of this brilliant track!" "I can remember playing this on Late Junction and thinking what a moment it was to share what's possibly my favourite piece of Detroit Techno with the Radio 3 Late Junction audience!" "One of my favourite shows was a 90 minute feature about the music on board the Voyager Spacecraft - The Golden Record. We had Moor Mother on the programme to discuss Afrofuturism and this is one of the tracks they selected." Yoji Yuasa - Music For Pattern Side "Moon'yoh"
"Music for the Osaka Expo 70, that's one of the spookiest recordings I've ever heard. " "I have Ryuichi Sakamoto to thank for playing me this heartbreakingly beautiful recording via his mixtape and our chat in London last year." "One of the many new discoveries I made on my trip to Beijing last year." "I was lucky enough too see Hatis Noit perform at the CGP gallery in South London in 2017. It was pretty special - the whole room was captivated. I went on to book her to play at events for Radio 3 (Exposure and her Late Junction session with The Bug), and at an event I curated in Tallinn and also as part of my Musicity project, where she recorded a piece of music inspired by the the White Cube gallery." "Madlib makes so much sense in the context of Late Junction - and this track has it all - genre hopping multi dimensional sound world music!" "Memories of physically shaking during Moor Mothers set for the Late Junction Stage at End of the Road 2018." "Contemporary classical music and young artists feature on many a Late Junction playlist. Here, twenty-something harpsichordist Justin Taylor makes light work of one of György Ligeti’s classic conundrums." "Noise seems increasingly relevant in this age of the sixth mass extinction. Puce Mary’s Late Junction Mixtape that she compiled in December 2018 was revelatory." "It often amazes me how timeless early music can sound. This piece, attributed to Josquin, is ambience à la 16th century." "I spent a morning with Robert Wyatt for an edition of Late Junction At Home With… Possibly the most moving interview I’ll ever conducted. This is a pared down version of the song where he succeeded in articulating existential feelings that have dogged him all his life. As he said to me, ‘I’ll be glad when it’s over. I just don’t think I was meant to exist’." "Anna was onstage for Late Junction at Latitude in 2014 and is revered by us all. A powerhouse of a musical mind." "I’ve been playing Ross Daly right from when Late Junction started in 1999 and still get a thrill at the thought of people discovering it via the airwaves for the first time. Literally entrancing music born from the soil and soul of Crete." "Richard has featured on Late Junction in so many ways, we now allow ourselves to think of him as a friend. This year he’ll be gracing the stage of the ever Late Junction Festival with his band Hen Ogledd." "Tanya first did a session for Late Junction years ago and was the first (and last?) guest to perform while lying flat on her back on the floor. Retribution made the Late Junction Albums of the Year list for 2017." "Apparently I’m a ‘folkie’, so it’s no wonder traditional music features strongly in my editions of Late Junction. Tunes in the hands of masterful young players like this, make me feel like I’m flying."